We receive our Salix Alba Caerulea (English Willow) from J.S. Wright & Sons Ltd. They supply most of the world’s cricket bat market with bat willow and have done so for over the past century. This unique willow grows along the moist wetlands in and around Essex (England). 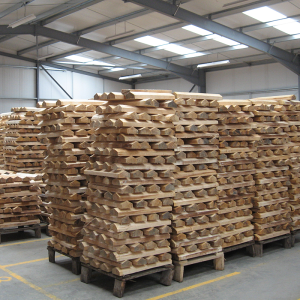 Our wood arrives in the form of clefts which has already been graded by our suppliers. In order to further ensure the consistency in the grading of the willow, we sometimes tend to regrade certain clefts based on the look of the grain, pick up as well as performance of the bat. It is important to understand that not all bats with the perfect grains will give the ultimate performance. Alternatively, bats that have slight blemishes (e.g. knots or butterfly willow) can sometimes offer really exceptional performance. That is why at D&P, we recommend that when a customer selects a cricket bat, the primary focus should be on the bats pick-up and response rather than too much attention given to the look of the grains. This is the best blade that money can buy. There are no specific rules as to what makes a grade 1 blade, but it is generally accepted that the face should have at least four visible straight grains. 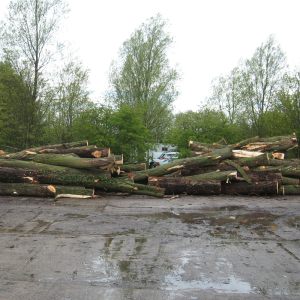 There might be minimal heartwood (red coloured timber which comes from the centre of the tree). Although there might be the odd small knot on the edge or back, the playing area should be clean. It must be noted that these slight imperfections in the willow will not necessarily hinder performance. On average most Grade 1 bats have between 6-12 nice straight grains. 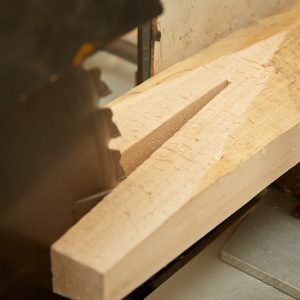 We remove the wax coat at both ends of the blade, then individually run the clefts through the surface planer. 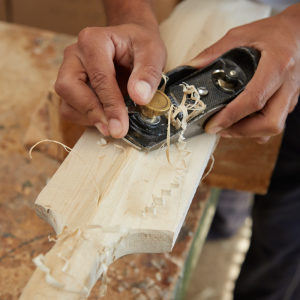 Then the cleft is carefully inspected to determine which end of the bat will be used for the playing surface and which end to splice for the handle. 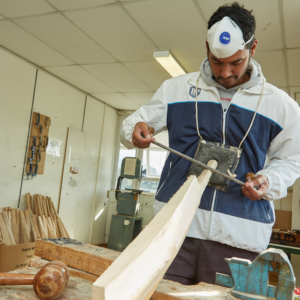 The experience & skill of our bat-making staff ensures that we maximise the full potential of each cleft when transforming it into your handcrafted D&P cricket bat. 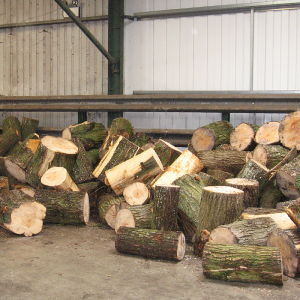 At D&P Cricket, we view this as the most important part of the manufacturing process. 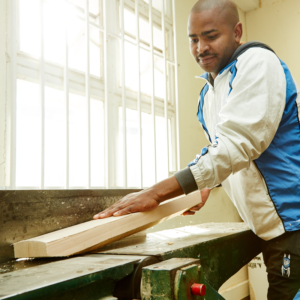 Factors such as the type of handle as well as the natural quality of the cleft also play significant roles in giving your D&P Cricket bat its “ping”. In saying this, pressing is essentially the most significant controllable aspect in determining the response and lifespan that the bat will ultimately have. Pressing is such a fine art between firming up the willow for strength but also leaving it slightly soft enough for the bat to perform optimally. Each blade is individually pressed by applying downward pressure onto the cleft. We are able to provide our customers with the more traditional straighter press as well the more innovative “bow” shaped design. 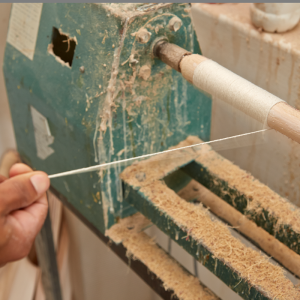 Splicing is a precise art where a “V” shape is cut into the blade as well as the cane handle so that it fits precisely. There are various types of cane handle combinations, but our experience has shown us that the use of the rubber/cork mix in our handles achieves a good balance between response and durability. We are able to customise your handle length to a SSH, SH or LH in the senior ranges. Although most of our bats have the handle fitted in straight, we can also accommodate individuals that prefer the handles to be set slightly forward or backward. This labour intensive part of the process involves remarkable precision in order to maximise the full potential of each cleft. Our batmaker shapes every cleft by balancing the weight of the bat in order to achieve the correct profile as well as the appropriate “feel”. The main bat shaping is done with a drawknife. The bat has to continuously be removed from the vice to check that the pick up is well-balanced. The profile is then further refined with the use of specially designed imported planers. 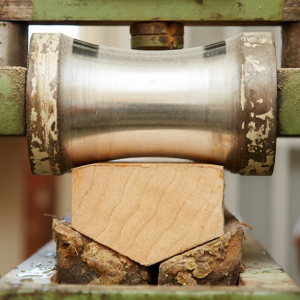 One of D&P’s trademarks is our distinctive handle shaping. The top half of the handle which is rounded with a spokeshave pans down and into the bottom half which has an oval design. This design not only allows for unsurpassed control, but it also provides a more comfortable feel and as a result it can potentially provide more power when striking the ball. 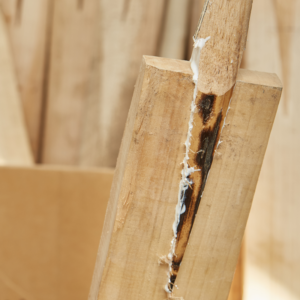 Sanding is a time-consuming aspect of handcrafting an English Willow bat. 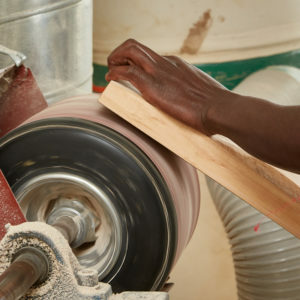 Correct technique, coupled with the appropriate tools ensures that the bat is transformed from a course product into a naturally smooth cricket bat. The bat goes through a range of sanding grids. Some of these grids are on specifically designed machines, with all the finishing touches done by hand. D&P Cricket understand the importance of high quality sanding and all of our bats have to pass a quality control checklist before progressing from this stage. Once the handle has been shaped, one layer of binding is applied to the handle. This is done by applying glue throughout the length of the handle to reinforce it and then applying the twine. Once the glue under the binding has been dried, the pre-moulded rubber grip is applied with the aid of a grip cone. This process helps to knit together the outer fibres of the bat to form a strong outer resistance as well as a barrier to the impact of a cricket ball. This reduces the chances of damage and enhances the bats performance. The bat is given a couple of coats of oil using special cricket bat oil. The bat is left for 24 hours in a horizontal position between coats and after approximately 5 days the oiling phase is completed. 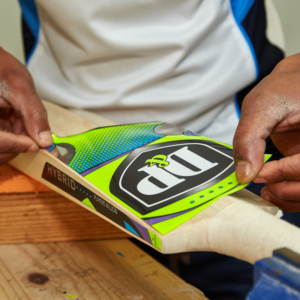 Special care is taken to ensure that no oil is put on the shoulders, splice or handle of the bat. All new cricket bats are put under the knocking-in machine. The purpose is to further compress the fibres of the willow. The force of the machine is gradually increased until the blows are as hard as the impact of a cricket ball. We do however still recommend further knocking in with a bat mallet or old soft cricket balls. We blend the element of being a traditional handcrafted bat manufacturing company into our sticker design along with using the latest materials to give it that cutting-edge appearance. The sticker adds character to the bat and also completes the look, so it is crucial that meticulous precision is practised when applying it. Application of the cosmetics is all done manually and it is a very time consuming part of the finishing off process. It is for this reason that we have specially trained staff designated to perform this task.